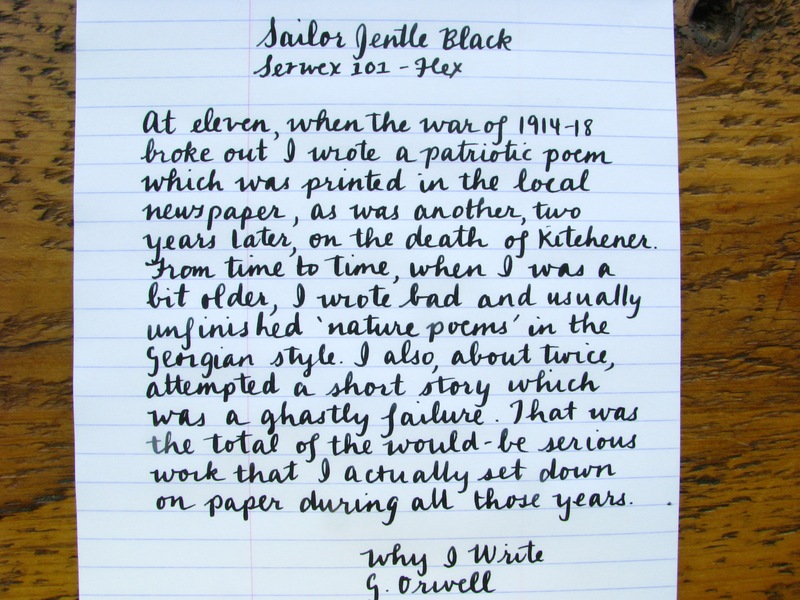 Sailor Jentle Black is a dark, rich, warm black. 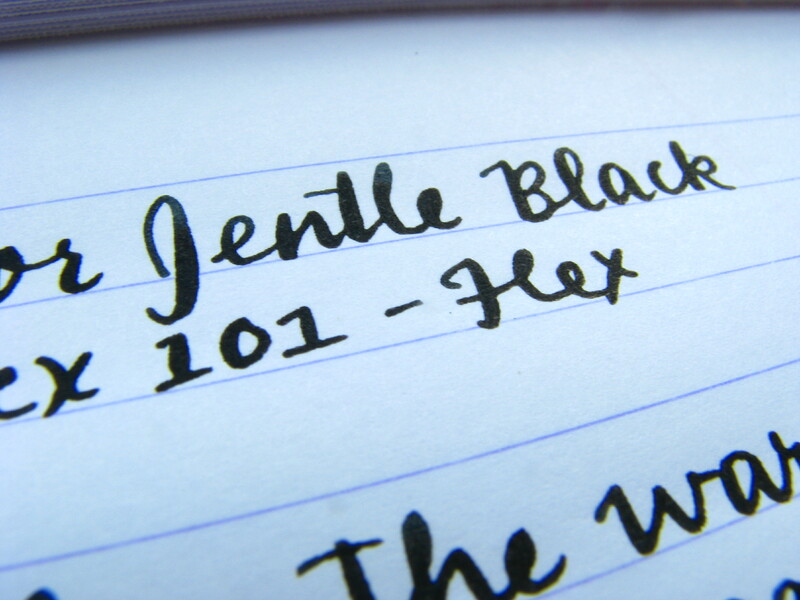 for beautiful shading and a sheen, the Jentle Black is a great ink for your everyday writing. 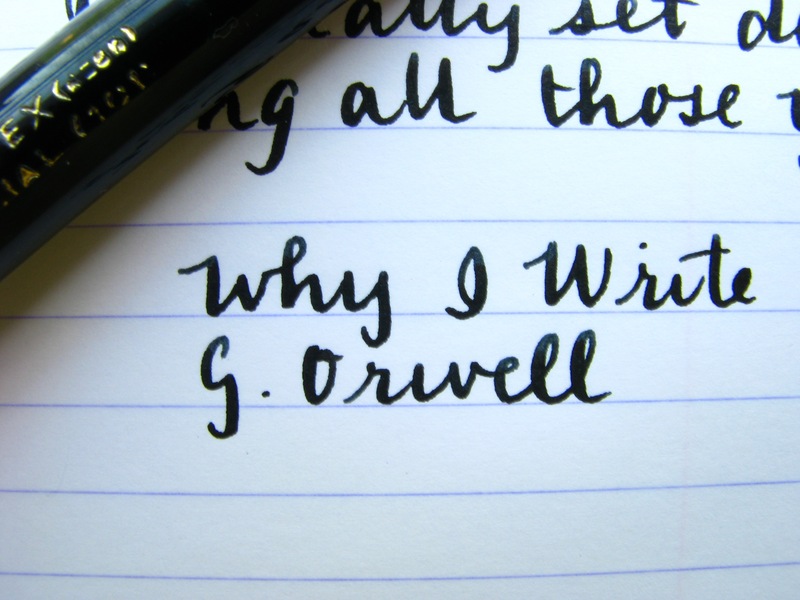 The review was done on Rhodia 80gsm paper, with an eyedropper Serwex 101 with a flex nib – one of my favourite no-nonsense get-er-done pens. 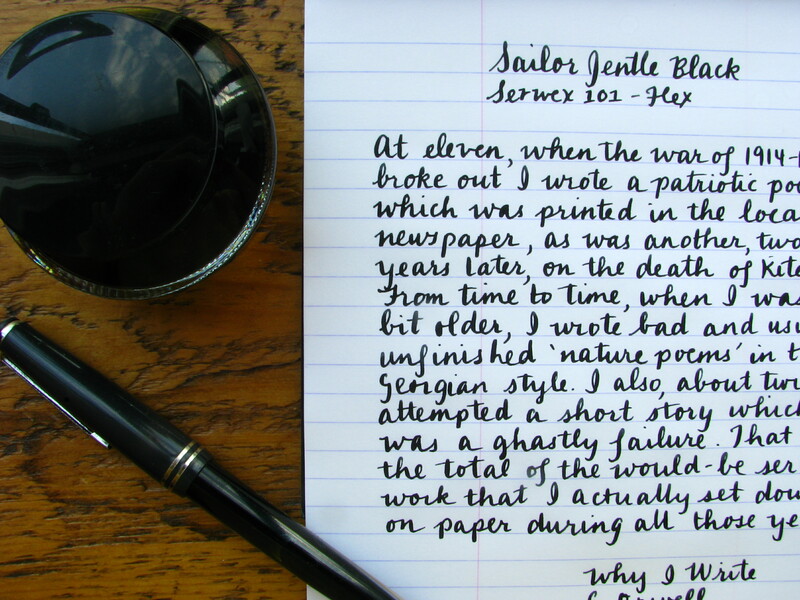 One of the most distinctive features of this ink, but also most of the inks in Sailor’s Jentle line is the lubrication – it’s super smooth and wet and flows beautifully. It’s a great ink to try if you have a drier pen or in flex pens. I love the sheen from some of Sailor’s other inks, but this is not an ink that will give you too much shine when it dries. If you’re looking really close at the right angle you might see the tiniest hint of sheen, but it might also be because you’re squinting too hard. 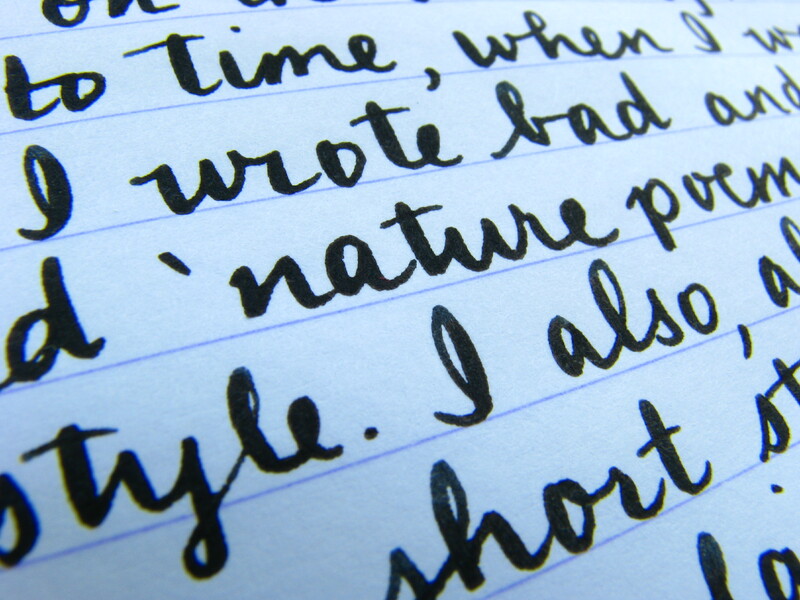 Even with the super wet flow and a flex nib, on the Rhodia paper, I got zero feathering or bleed-through. The flip side of some inks with low or no feathering is a long dry time, and this ink is no exception. In part because it flows so well, and lays down such a nice wet line (that doesn’t dry in feathering) is that it will take a little longer to dry. It’s a dark, opaque black, with just a hint of shading. There might be other blacker/blackest-possible inks out there if that’s what you’re really looking for, but this is a warm, dark, rich black. Just a few flecks of sheen in the right light. 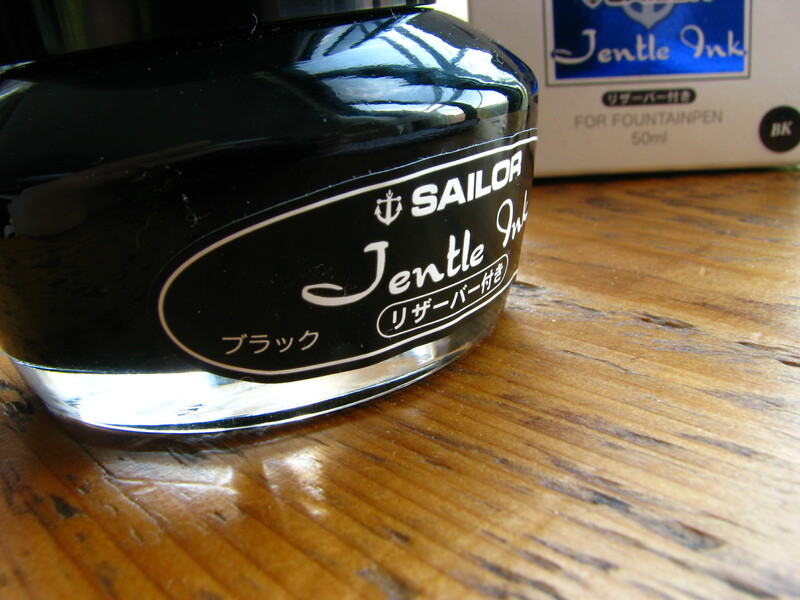 Sailor Jentle Ink Bottle – a wide base to prevent tipping. Each bottle has 50mL. Typical of Japanese design and innovation, the bottle is one of the most user-friendly ink bottles on the market. It’s a bit hard to tell in the photo I took, but there’s actually a cone inside the bottle that allows you to draw from the bottle even when you’re near the end. 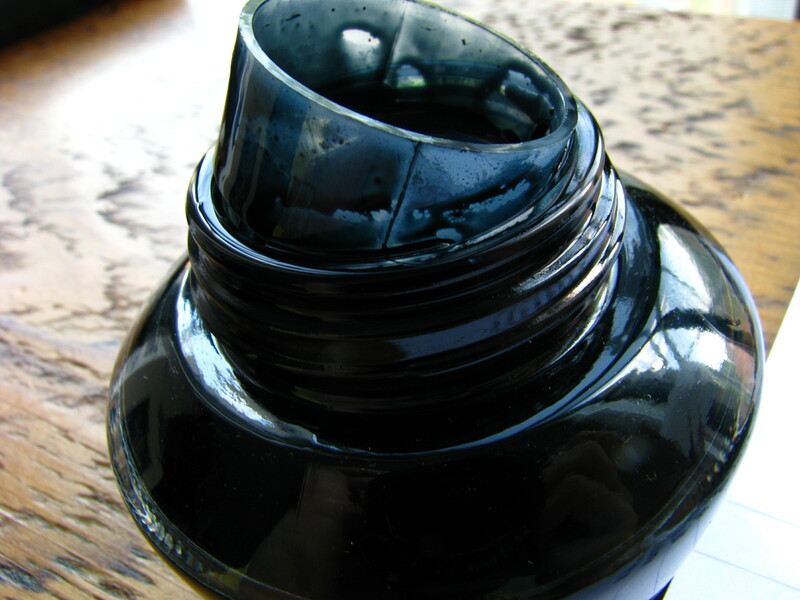 With the lid firmly closed, you turn the bottle upside down, and back upright, and ink will have filled the inner cone, allowing you to fill up. The Sailor ink bottles all come with a cone to help you use the last bit of your ink.